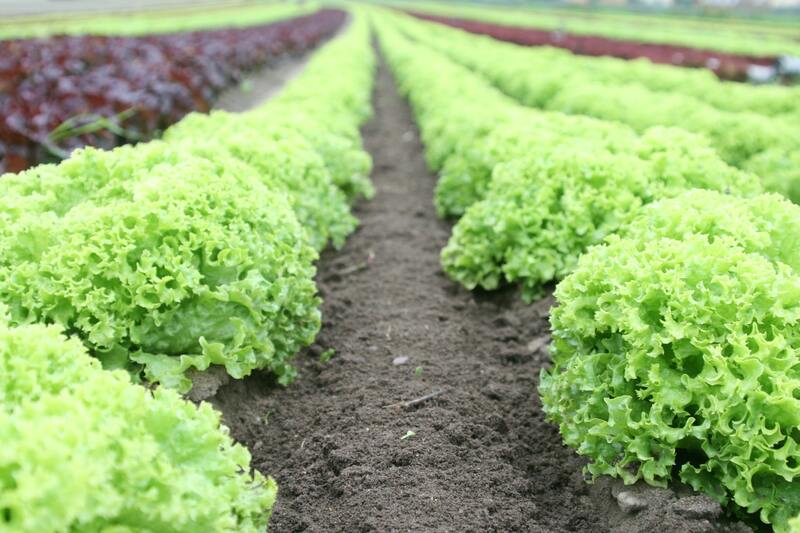 Image: Lettuce Feed You – Horticulture enterprises need to innovate in order to stay ahead of the curve. Photo by Michael, available at Pexel by a CCO agreement. Australian vegetable growers need to up their game in order to remain profitable and competitive, according to a report recently released by Hort Innovation. The Vegetable Strategic Investment Plan 2017-2021 highlights the vegetable sector as being the fourth biggest of all Australian agricultural industries behind cattle, wheat and milk. In 2015-2016, the Australian vegetable sector contributed 7.6% towards Australia’s gross agricultural production estimated at $3.5 billion. But the current position of the Australian vegetable sector could come under threat unless large-scale change is implemented. Rising input costs and stagnant vegetable prices are already putting profitability under pressure, with growers citing the increasing cost of electricity, fuel, chemicals and fertilisers as being of concern. In many areas, the cost and availability of irrigation water is also an ongoing battle, and the high price of employing staff is often unavoidable. One of the major issues for the industry is the low number of buyers and the unfavourable ratio of growers to buyers. With few selling options, growers are often at the mercy of buyers aware of the lack of options and are forced to take the price and conditions offered to them. This has also forced growers to leap-frog agents and wholesalers in order to deal directly with retailers. While innovation is key to staying ahead of the curve, there is some doubt that vegetable growers have the capacity to implement large-scale change. The average age of a vegetable grower is 57, with most having no TAFE or university qualifications. Most farms rely on family members as their workforce given the high cost of wages and are restricted by poor economies of scale. Combined, these conditions restrict profitability and in turn, the ability to invest in the innovation and farm technology. While there has been a slight decline in domestic purchases of fruit and vegetables, some products are experiencing a rise in popularity. Sales of fresh salads, Asian vegetables, pumpkin and cauliflower all increased last financial year, while beans, cabbage, sweet corn and zucchini dropped in favour with consumers. The good news is that there is strong potential for the vegetable industry, based on future consumer demand. Concerns regarding health, animal welfare and the environment are pushing shoppers to eat more vegetables. An estimate by Deloitte Access Economics predicts that a 10% increase in vegetable consumption would lead to an additional $23 million in profits for the industry. In the South Australian Riverland, growers Mark and Megan Whateley are familiar with the impact of increasing input costs. ‘Wages and electricity are certainly putting pressure on us. We have around 3-4 employees at the moment, but that will increase to around 15 in a month or so. The most frustrating side of it is that many growers pay workers illegally low rates, whereas we always pay our employees based on the SA Horticultural Agreement’, said Mr Whateley. For the Whateleys, growing several vegetable varieties (corn, carrots and cauliflower) is a strategy specifically implemented to balance the risk associated with price fluctuations. ‘The prices paid to go up and down in a year, but overall there’s no real movement. By growing different types of veggies we’re able to avoid the downfalls of a price slump for a particular vegetable’, he said. The more traditional mode of selling through a wholesaler is still the best option for their enterprise. ‘Agents or wholesalers give you access to multiple retailers so you can be sure that you’re selling the volume of produce required. We might get a slightly better price for dealing direct with retailers, but it would involve significant work building the relationships. ‘Retailers want guaranteed supply of a product over a 12 month period, and we can’t necessarily provide that. For our business, the wholesaler or agent model is the best’.